Cyber Security concerns affect all areas of government and digital commerce. 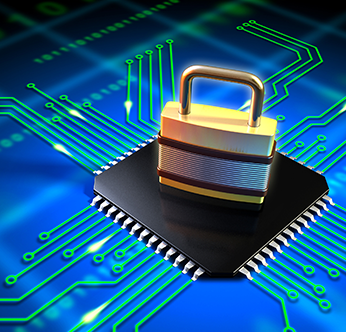 From safeguarding personal information to securing critical physical infrastructure the need for cyber security standards and tools is growing exponentially. On Monday evening, September 24, OMG Task Force chairs from the System Assurance TF and the C4I TF will offer an update on the latest work in their relative fields. The mission of the OMG System Assurance (SysA) Task Force is to adapt and extend OMG technologies across domains to enhance System Assurance (improve Reliability, Safety, Security, and Compliance); to establish a common framework for analysis and exchange of information related to system assurance, trustworthiness and cyber security in OMG product interoperability mechanisms. Current work includes TOIF™ (Tool Output Integration Framework™) and Cyber Security Profile for UAF® to enable and improve the use of automated and computer-assisted cyber security tools. The OMG C4I (Command, Control, Communication, Computers and Intelligence) Task Force is focused on systems that support crisis response, Search and Rescue (SAR), and military operations. Such systems are commonly known as C4I (Consultation, Command, Control, Communications, and Intelligence) systems and are here taken to include surveillance, reconnaissance, command and control. The C4I Task force looks at Architecture of sensors through Systems and Systems-of-Systems Integration with a view of both reducing costs/time along with increasing quality and providing the information necessary to manage the total process. The task force looks at Open Architecture based on Modeling and the design of processes and tool requirements that enable the community to succeed on schedule and with high quality, security and safety. Current work includes the Information Exchange Framework™ (IEF™), an Object Management Group initiative to establish a family of specifications for responsible information sharing and safeguarding (ISS) capabilities for: email exchange, file sharing, instant messaging (chat), structured messaging, and web services. Refreshments will be served and there will be ample time for networking with other attendees and informal Q&A with the speakers and exhibitors.